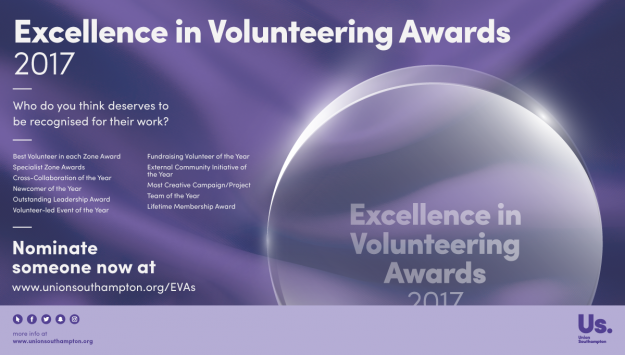 After much consideration, we are pleased to announce the shortlisted students for our Excellence in Volunteering (EVAs) Awards. The quality of nominations was extremely high and we had a tough job whittling down the longlist, but we are excited to announce the award winners at our ceremony on Friday 12 May at 19:00 in The Cube. Non-dining tickets are available for just £15 each at www.unionsouthampton.org/boxoffice. For the latest award updates, check out our official EVAs Facebook event.